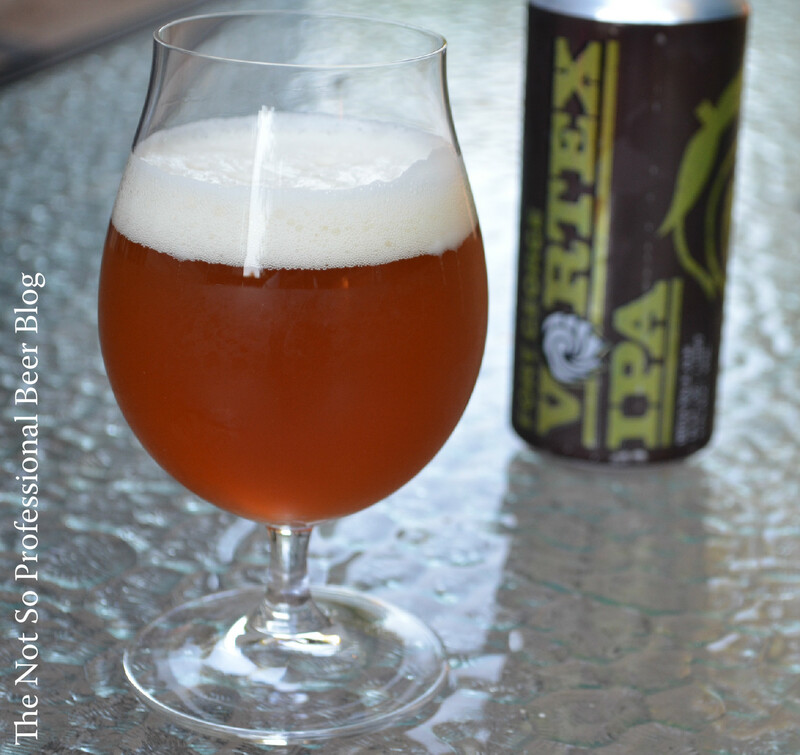 Random thoughts: Vortex IPA was one of the first canned beers released by Fort George. (The other was 1811 Lager.) I'm sampling Vortex as part of my series on Fort George's 16 oz. canned beers. The tasting: Deep golden orange in color, very hazy, with a white head that dissipates slowly. Aroma of pine, citrus, and caramel. The hop aromas dominate and provide a good indication of what's in store. Flavor is similar to aroma, expect grapefruit is more pervasive than pine. Underneath all of the hop flavors is a solid caramel malt backbone, which tempers the bitterness and provides nice balance. Some light alcohol is noticeable in the middle. Vortex IPA is medium bodied, has a resinous mouth feel, and finishes with lingering hop bitterness. Rating: 4 star. Really good! I want this again! If you want a big (but balanced) IPA, Vortex is hard to beat! It has the bold hop flavors you'd want in an IPA, but the caramel malt keeps the bitterness in check. To top it off, the 16 oz. can provides the perfect size! 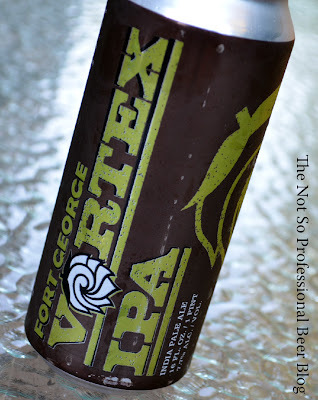 Have you tasted Fort George's Vortex IPA? What are your favorite Fort George beers? I don't like the labeling for the cans. They look too much like energy drinks. This is a great IPA. One of my favorites.